I am sure that most of you watched the Super Bowl on Sunday as I did with a bunch of my friends! We had about 30 teens from 4:00 until about 11:30! It was a ton of fun although the Cardinals did lose which was HORRIBLE! 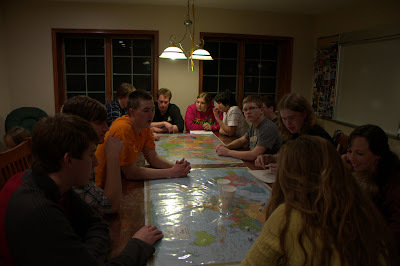 Above is a shot of some of us around the table playing 10,000! It's my dad's favorite game I think. The football game was actually in progress at this time which shows you how much everyone there cared about the game. 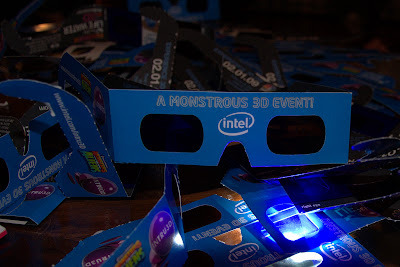 Now I am also sure that you heard about the 3D commercials that they had going on for this years Super Bowl. Well, every person that walked in the door brought about 20 pairs to share! It turns out that they were giving them away at the grocery store for free so why not bring extra! By the time everyone got there we had enough glasses to outfit all of my sisters dolls and probably all of the animals living on the farm and still have at least a pair for each person! The 3D did work well though on our projection screen! 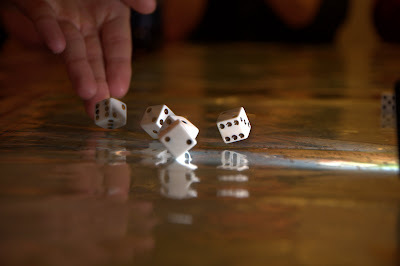 Here is a shot of the dice rolling out of the hand of Nathan Snell. I used my wireless Nikon SB600 flash (To the right in the picture.) and prefixed the focus on a country on the map and told him to roll right on that spot! It turned out well I thought. This is where we hung out after the football game playing music, basketball, and whatever else we could play! The previous night we had painted the entire upstairs of our chicken house! It was a blast! We actually went barefoot to paint the floor! No rollers necessary! I'm going to try to post a video of that here pretty soon. Well, that is all for now! I hope that your Super Bowl Sunday was as amazing as mine was!